If you have an older home, and there are a lot of them in the Pacific Northwest, chances are that it is not reinforced for earthquake protection. As a starting point, we examine how your home’s wood framing is attached to its concrete foundation. 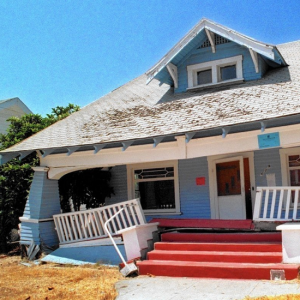 During an earthquake, the wood-framing could slide off its foundation, causing major damage. Retrofitting your home requires installing threaded rods into your foundation using structural epoxy that is certified for cracked concrete. The threaded rods extend through the wood ‘mud plate’ that bears on top of the foundation wall and penetrates 7″ into the concrete. On top of the mud plate, the threaded rod is anchored with a 3″x3″ steel plate washer and nut. In short, you are bolting your home to the foundation. Back in the old days, a simple framing nails were commonly only connection of the house to its foundation. Of course, sometimes a hole cannot be easily drilled into the top of your concrete foundation wall. In this case, the Simpson Strong-Tie company sells specific hardware that is used to secure the mud plate to the foundations. The number and the size of connection points will be vary depending on the size of your house, and its location. Some construction companies specialize building seismic retrofits. Construction can be expensive. However, this is not rocket science: the City of Seattle provides detailed information about how to construct a seismic retrofit: See downloads below. In some cases, building the seismic retrofit yourself may be possible with the correct tools and the willing to get your hands dirty. If you have easy access to the mud plate in your basement then the installation might be straight forward. While it often best to hire a professional, this is something that you may be able to do yourself. Below are several resources for your use.